Personal monitor mix systems have become increasingly prevalent. And if you’ve ever suffered with a bad monitor mix onstage or in the studio, you know precisely why more and more musicians are taking control of their own mix. PreSonus EarMix personal monitoring solutions make getting the right mix easy and affordable while providing powerful and flexible features unavailable on systems that cost twice the price. 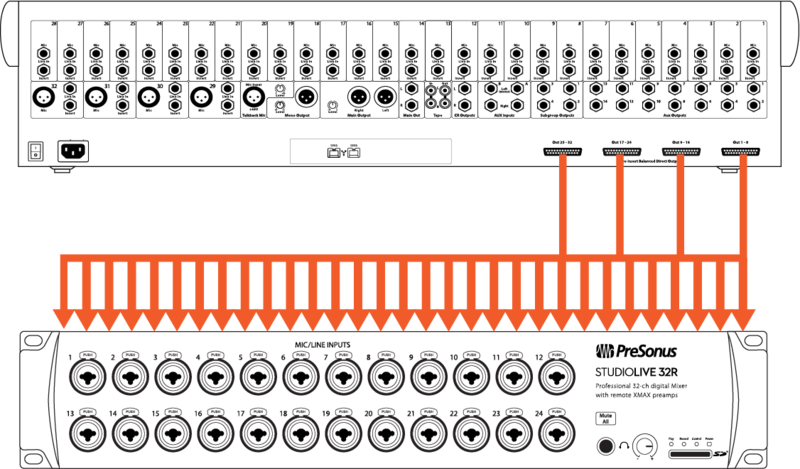 In traditional personal monitor mixing systems, the Front-of-House mixer feeds an input module with direct outputs, aux bus outs, subgroups, or some combination thereof. The input module usually has 16 inputs, and its function is simple: to take the analog signal from the mixer and convert it to a proprietary digital network protocol that can be understood by rest of the personal monitoring system. The input module then connects to a distribution hub that allows multiple personal monitor mixers to be powered over Ethernet. Any actual mixing and processing, if available, is done locally on each personal monitor mixer. 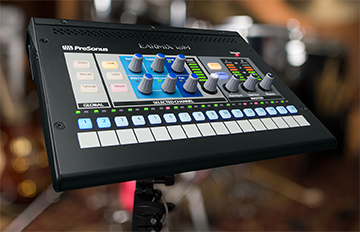 PreSonus EarMix takes this concept one step further. In an EarMix system, a StudioLive Series III mixer is the input module. If your Front-of-House mixer is a StudioLive Series III console mixer, it will function as your input module, so you’re already a third of the way to a complete system. But what if you’re using a StudioLive AI-series or 3rd-party digital console? Or a vintage analog mixer? Not a problem. An EarMix system can connect to any mixer, so if you’re happy with your Front-of-House system, you don’t have to change it. Like a traditional personal monitor mixing system, EarMix starts with a rack-mount input module. Available with 16, 24, or 32 local inputs, StudioLive Series III rack mixers will take your personal monitoring to the next level. Because the EarMix input module is a stand-alone mixer, you have Gate, EQ, Compression, and Limiting on every input and bus, plus the ability to create up to four effects mixes with reverb or delay. In addition to the master effects and dynamics processing available on the StudioLive Series III rack-mount mixer, each EarMix 16M is equipped with a 3-band EQ and Limiter for each of the 16 channels, plus the master. More on that in a minute. StudioLive Series III rack mixers are available in 16-, 24-, and 32-channel input configurations. This allows you to choose how much busing you would like to do from your Front-of-House mixer. For example, if your FOH mixer has 32-channels, each with their own direct output, you may wish to directly connect a StudioLive 32R and do your busing locally on your EarMix System. In this configuration, you will need to create subgroups on your StudioLive 32R and route those buses to one of the 16 network inputs available on your EarMix 16M. The advantage of this system is that the mixing and processing for your EarMix System are entirely self-contained. This allows you to provide your musicians with a true monitor mix experience, because all compression and EQ settings are customized for the stage and completely separated from what the audience is hearing in the main mix. Maybe your mixer isn’t equipped with direct outputs on every channel. Or maybe you’re on a tight budget and would like to save some cost. In this configuration, you will take a much larger mix and bus it down to a more manageable number. So, in our example, a 32-channel mix becomes 14 buses that are then connected to a StudioLive 16R. In this example, you can still use the StudioLive 16R’s processing to add bus compression and EQ that is customized for your performers, freeing up your Front-of-House engineer to dial in the sound for the audience. You can also use the StudioLive 16R’s two effects buses to add Reverb and Delay to any instrument group that you wish. These return streams can then be routed to individual channels on the EarMix 16M, allowing each musician to set their own wet / dry blend. With either option, once you have dialed in the processing and levels for your EarMix system, you no longer need to have a computer, iPad, or Android tablet connected to your StudioLive rack mixer. All settings and routing will be stored and remain unchanged until you reconnect software control and make an alteration to your set-up. Once your analog connections are made, the next step is to add a switch, so that audio can be sent to the EarMix 16M mixers. This is where the PreSonus SW5e comes in. This compact AVB switch allows you to connect up to four (4) EarMix 16M mixers and will provide power to each of them. Multiple switches can be daisy-chained to connect more EarMix 16M mixers as needed. EarMix 16M mixers provide a truly customizable listening experience for each musician. Once the sources are connected, each musician can add EQ and limiting to each channel, plus the Main Mix. Channels can be grouped, providing a single level control for multiple channels that is determined by the musician controlling the mix, not a distant and distracted Front-of-House engineer. 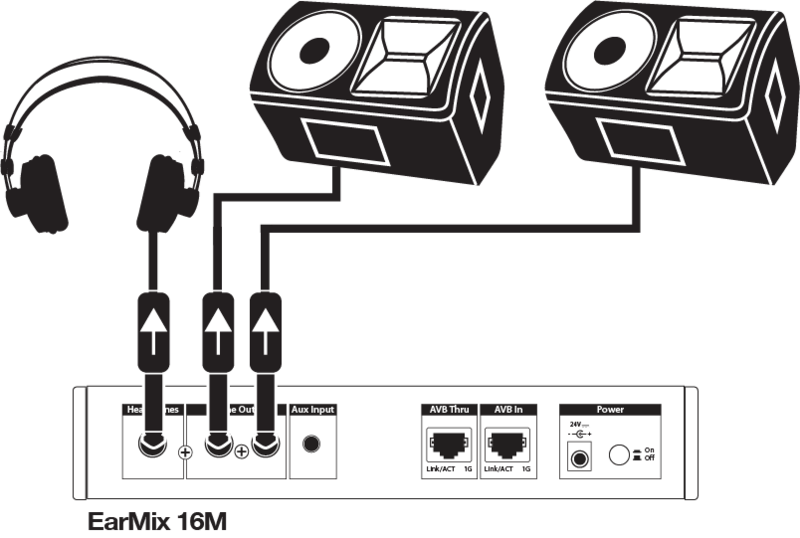 And EarMix 16M personal monitor mixers can be connected to in-ear monitors and headphones, or powered speakers or amps, so no matter how your musicians wish to hear themselves, they can control their mix from stage. Powerful, flexible, and affordable, EarMix provides professional personal monitoring that is easy to integrate into existing systems and even easier to use. Video: Earmix16M - How to Setup, Quick and Easy!